A modern, smooth operating dumbwaiter in your home could be just the thing you need to easily and conveniently move heavy items between floors. Many of us could use a little help when it comes to carrying around groceries, firewood, clothing and other household items to multiple levels of our residence. IronHawk Elevator is a proud supplier of Inclinator's Homewaiter residential dumbwaiter. A solid and durable home dumbwaiter can add a level of convenience and safety when it comes to moving items up and down levels of your home. Don’t risk the chance of injury to you or your loved ones. Get an Inclinator dumbwaiter from IronHawk Elevator to best fit your needs. Mobility solutions are not limited to chairlifts and elevators. Dumbwaiters are a great way to move supplies for those who need a little more help. Children, elders, and injured personnel may need assistance when it comes to carrying loads to different stories, an Inclinator dumbwaiter is a safe and dependable way to do so. Consider the time and energy saved by the use of a home dumbwaiter. Traveling up and down stairs and taking multiple trips is not only exhausting, it can take more time than you would like to give. Not to mention, it could be a risky attempt for one with a mobile disability. Laundry from the bedrooms to the utility room, groceries from the garage to the kitchen are common uses. Dropping food from the kitchen to the basement where entertainment takes place would be an easy and convenient way to feed those raving football fans. 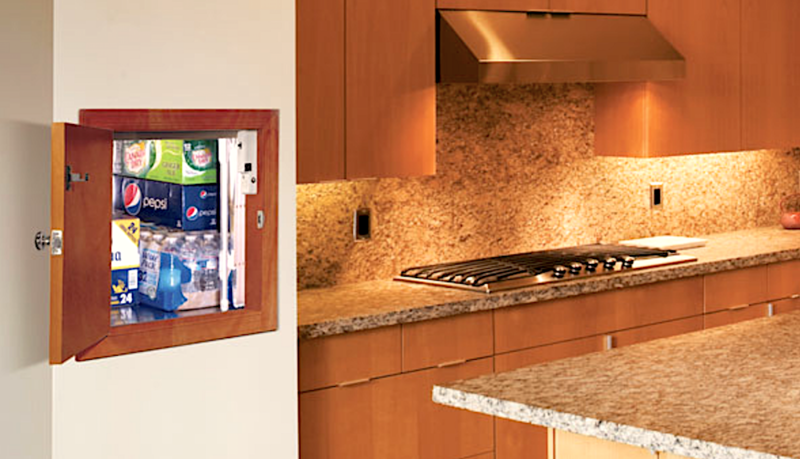 There are numerous uses for a residential dumbwaiter from IronHawk Elevator. Your new Inclinator Homewaiter can be customized in multiple ways, a versatile design allows for a unique installation for all applications. It starts with the right cab, they come in many sizes and are constructed with painted steel. The option for stainless steel or hardwood veneer interior is available if the desired look is to match the rest of your home’s interior. Doors can be finished in a number of styles, from a swing out wooden door to a commercial-grade bi-party or slide-up door. 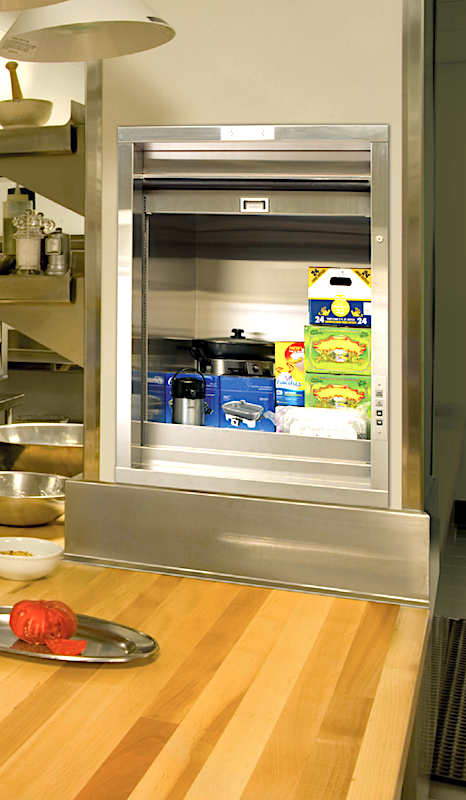 Each dumbwaiter from Inclinator has the ability to travel up to 35 feet, or up to 4 stops. This means each level of your home has an access point for traveling supplies. The Homewaiter will have automatic controls at every landing and it has the ability to open from three different locations, just another way to make it more convenient for home owners. IronHawk Elevator can install a new home dumbwaiter in your current home, or we can help design it into your new construction project. We are the expert professionals you can count on to install and maintain a residential dumbwaiter. Modernization and maintenance must be performed by a licensed professional to guarantee the safety and longevity of your home dumbwaiter. ​Does your home have an existing, older or vintage dumbwaiter? We can modernize and refurbish dumbwaiters that have been neglected to function and look like a brand-new dumbwaiter. Pick the team that will do the job right the first time. Count on IronHawk Elevator for consistent maintenance so you can enjoy your residential dumbwaiter for years to come. IronHawk Elevator is the leading installer of residential dumbwaiters, bringing convenience and mobility assistance to homes of all sizes. Easily move heavy loads between the levels of your home. Increase safety and reduce risk of injury. Customize to allow for exterior access to move items in from outdoors. Add to the overall value of your home.